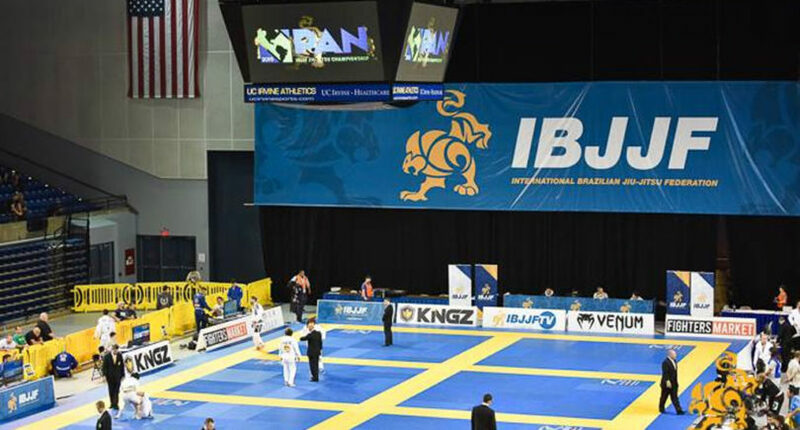 Here’s the definition I use: a competitor is anyone who reaches for the pinnacles of the sport: an IBJJF World Championship, an Abu Dhabi title, etc. It doesn’t matter if you actually attain it, but it’s what you are striving for. If this isn’t your goal, let’s define your practice in BJJ as recreational. You might compete to test your skills, but your focus is training for fun, self improvement and the love of the sport. Confidence for the competitor is vital. Confidence for the recreational athlete is helpful and it will grow as your skills improve, but there’s not as pressing of a need to cultivate confidence. No ego. Embroider it on a gi, because these two words might as well be the motto of all BJJ. It’s the idea that there’s always more to learn, always someone better than you and ego is a barrier to faster improvement. No ego as a theme in BJJ is so readily apparent because BJJ, more so than other sports, enables the smaller, slower, less physical fighter to dominate the larger, stronger, less technical opponent. Having to repeatedly say “uncle” to someone you perceive as your physical inferior is a make or break situation for anybodies ego. It’s with this in mind, that I not only campaign for the importance of confidence in BJJ, but want to help you build your confidence. As with every article I’ve written, my goal’s been to help you understand the process. It’s once you understand the process, that you’ll see for yourself the path to success. So, let’s talk about the process behind effective confidence in BJJ. Let me tell you about the Self-Efficacy Theory. Self-efficacy is the strength of your belief in your own abilities to reach goals. If you truly believe that you can influence, for the better, the outcome of your next fight, you’ll eagerly enter the competition. So, an efficacious you is a motivated you. Easier said than done, right? With a difficult task, it’s unrealistic expectation right off the bat. So, your coach (or you, yourself) has to enable success by reducing the difficulty. A simple example: a beginner might not be able to successfully serve a volleyball all the way across the net, but what happens once the coach tells her to take a few steps forward? This vicarious experience of success will provide a good foundation for the experience of success in live rolling or a match. Positive verbal persuasion should come as encouragement from your coach, parents, or teammates. If you’re not getting that, reevaluate your training situation. Keeping negativism out of your training is the hallmark of a champion and a championship team. Verbal persuasion can also be individual, a.k.a. self-talk. Types of Self-Talk – Self talk can be in the form of words actually spoken, or in the form of thoughts. It’s all about positivity when it comes to improving self-confidence; self-talk that’s positive in nature and leads to positive feelings about your ability. This is actually the weakest source of self-efficacy, but in my opinion, the most important one to understand. Basically, people often rely on their current emotional state when judging their capabilities. If they are happy and positive, their confidence is sky high. If they are despondent and anxious, their self-efficacy is diminished. Your goal should be to move past this type of response. Don’t let your current mood dictate your long term confidence. George St. Pierre is a great example of how a champion accepts performance anxiety and still illustrates incredibly high self-efficacy. Be sure to get your mind right before training (so you can learn effectively). The effectiveness of the self-efficacy model in sport is really well documented. Perceived self-efficacy is a strong and consistent predictor of success in BJJ. So get your game on, get confident and tell us what works for you in the comments.